Every year, we conduct a Recruiter Survey to help our customers share their experiences with us. We use the data to provide relevant information and answers to some of the most common questions among video interview users. Some of these answers can be found in my earlier post here. You can also read about our customer stories and references here. In my previous post, I shed some light on the common questions we’ve heard from you regarding the interview process. In this post, I will introduce data regarding the respondents’ user experiences. We received responses from 172 recruiters. Each respondent was asked whether they agree with the following three statements. The respondents rated the statements on a scale from one to seven, one meaning that they ”strongly disagree”, four ”moderately agree” and seven ”strongly agree” with the statement. 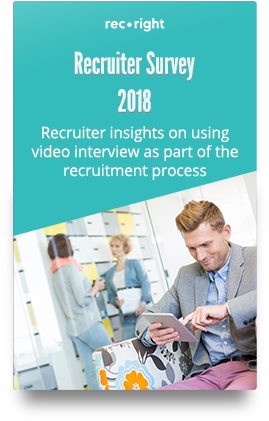 According to 89% of recruiters, our video tool is easy to use, 31% of recruiters find our tool extemely easy to use. 18% of the respondents thought that our tool is moderately easy to use. The average rating was 5.8. 89% of the respondents agreed with the statement above. These answers were on the scale from five to seven, where six had the largest share at 41%. 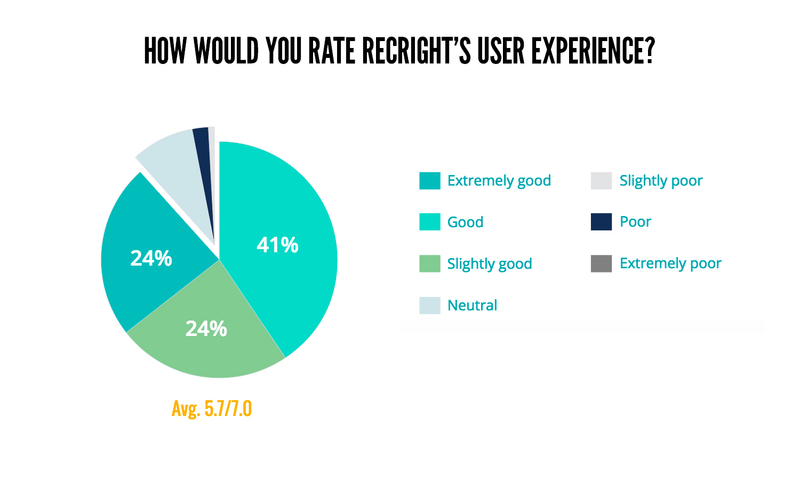 28% strongly agreed that RecRight’s features meet their requirements. The average rating was 5.6 out of 7. Only 3.1% of the total share of the responses were mildly or somewhat disagreeing with the statement. None of the respondents strongly disagreed. 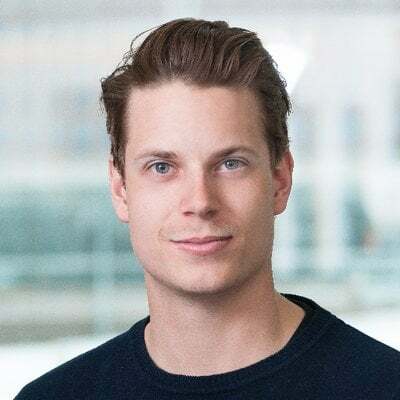 We believe that the main benefit our tool provides its users is an enhanced work performance in the form of saved time and an increased flow of information. Again, positive experiences dominated the results, but some room for improvement was found here as well. The average answer for this statement was 5.7, where 84% agreed with the statement above and 28% said that our user experience is extemely good. 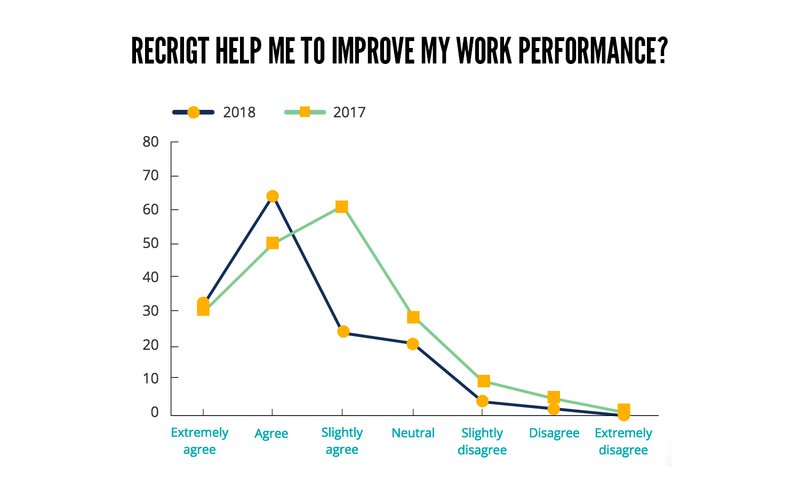 3.5% were moderately or somewhat disagreeing that our tool helps to improve their work performance. None of the respondents was strongly disagreeing with the statement. Of course, the benefits of our tool also depend on the complete recruiting process. 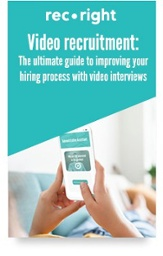 If you use video interviews as a substitute to some part of the recruiting process, for example phone screenings, the time savings will be bigger than if you add video interviews as an additional stage. 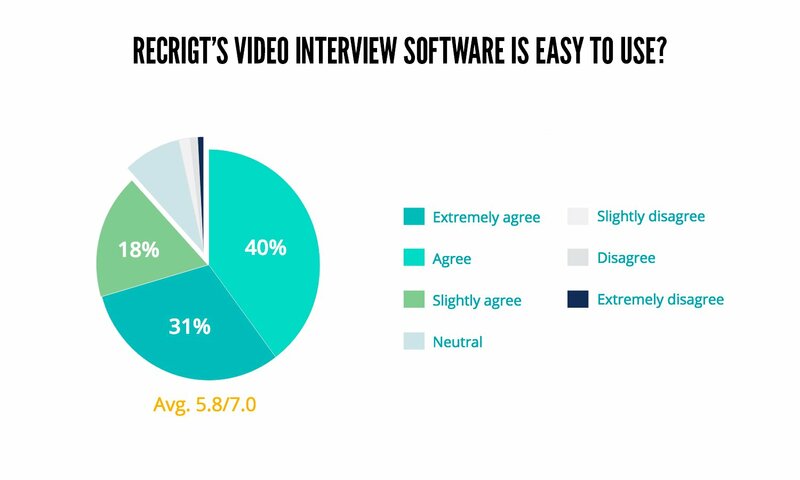 Still, using video interviews allows you to interview fewer candidates personally, which leads to time savings anyway. You can read more about the time savings our tool provides here. We also asked our recruiters to rate their user experience. Here again, we used the same scale of one to seven, where one equalled very low and seven very high. On average the recruiters’ user experience was 5.7 out of 7. The average answer for this statement was 5.7, where 89% agreed with the statement above and 24% said that our user experience is extemely good. 3.5% were moderately or somewhat disagreeing that our tool helps to improve their work performance. None of the respondents was strongly disagreeing with the statement. 8.7% had a moderate user experience, and 2.9% a lower than moderate user experience. None of the respondents rated their user experience very low. The stage is yours - please provide whatever comments you would like to share with us. We value even the smallest piece of feedback. The complete account of our survey can be found here. The Recruiter Survey is free to download. If you want to know more, you can contact us at sales@recright.com.